OLD PARKED CARS. : 1973 Ford Galaxie 500 Sedan. 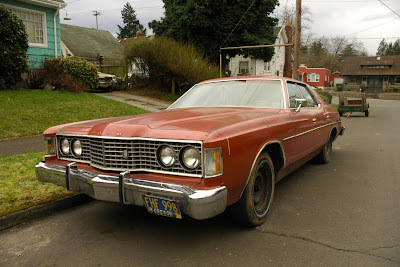 1973 Ford Galaxie 500 Sedan. As I walked back to my car, a sweet old man walked by and with a grin asked, "Why are you taking a picture of that piece of junk?". Wow. 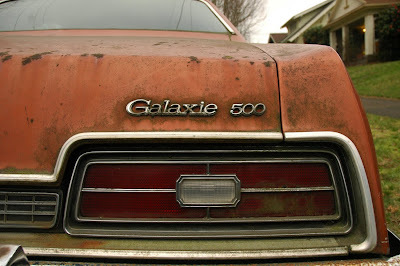 I didn't know the Galaxie existed this late, and I wish I still didn't. I'm much more interested in that Valiant/Dart in the background. But nice find anyway! How the hell can you not like this thing? I love how barebones it looks, and that color is perfect. Love the dirty tires and steelies and dents, makes it look mean as hell. It could be the Ken Hutchinson's car... Even nicer that if it was in good condition. whoa, it took me a couple of days to notice and appreciate that full-width grill, with the inset headlights. beautiful! 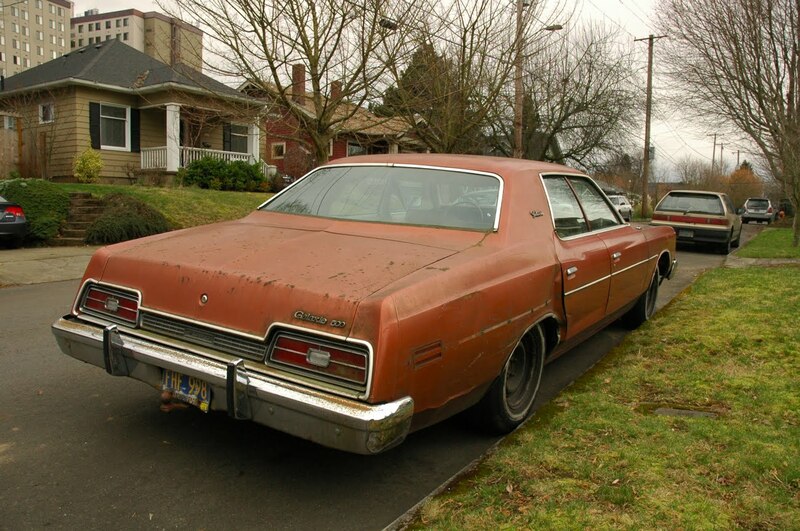 and the dodge/plymouth in the driveway is a great touch. nice exposure on that sky. Galaxy 100 is more like it. About as appealing as a buttermilk donut. You need to tell the owner about touch tone phones. 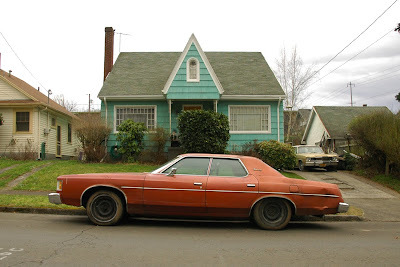 i drove past one of these the other day and did not photograph it, because i assumed it was this one. i will have to go back and get it. I'd like to know if you gave the old man a reply. I would have just told him that if he had to ask he wouldn't understand. Delivering a sermon on classic car passions would only elicit a "pffft, whatever.."